The CCAP tackled the Longsjo Classic criterium series this past weekend that included races on Friday evening in Leominster, MA, Saturday in Worcester, MA, and the big show on Sunday evening in Fitchburg, MA. 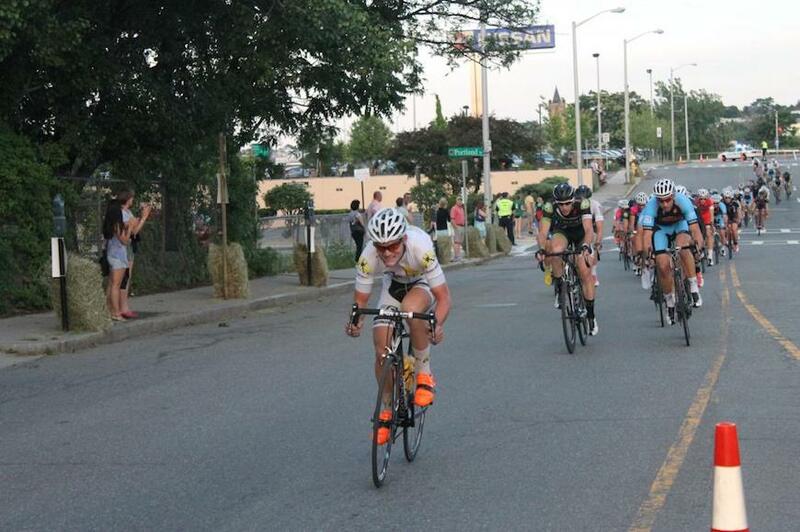 The 50-mile Fitchburg Criterium started out in earnest with all teams attempting to establish an early breakaway. A breakaway was finally forced several laps in and team member Ian Whaley covered it beautifully. The main field was not comfortable with Whaley’s group and worked hard to bring them back 15 laps later. CCAP rider Connor Walsh kept the pressure on by launching a counter attack that quickly gained 45 seconds and looked promising for the win. The main field would not let this move get away either, and slowly brought it back with 15 laps remaining in the race. As the race came in to the closing miles it was clear that a bunch sprint would ensue. Now it was Suto’s time to shine. Suto wanted a good result and was well positioned going through the last technical section of the course to earn that result. He launched his Raleigh Militis 3 with 300 meters to go and battled with the best sprinters in New England to finish a fine 8th place!